For small lawns auto-roll, push mowers might suffice. However, for lawns measuring a 1/4 acre or more, a riding mower is the only real way to mow it. That said, with the wrong mower, you can create yourself more work or more hassle than its worth. 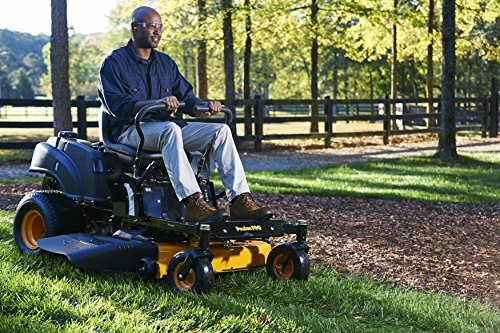 Additionally, for large properties with gardens or extensive landscaping requirements, the best garden tractor offers more functionality than a traditional lawn mower. Often, you can use a garden tractor to mow a lawn, but tending a garden with a riding lawn mower is not the best option. If you are shopping for a riding mower or garden tractor, there are a few things to consider. The primary difference is power. The secondary difference is greater versatility, which is made possible by more power. For instance, in terms of power, a riding lawn mower will generally be rated at 18 to 20 horsepower (hp). 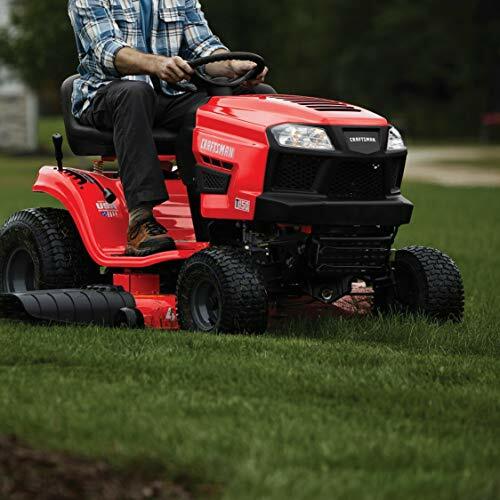 This level of power provides enough pull to navigate complicated terrain and cut thick lawns. However, the power does not generally translated into an ability to till ground or pull heavy loads. As such, these lawn mowers are designated as such and do not come with a variety of landscaping options. Garden tractors, however, are comparative beasts. Their horsepower typically ranges from 21 hp to 26 hp. Although this increase might seem, at best, incremental, it is more than enough to offer a wide range of functionality. Of course, garden tractors are fitted with a blade, so they can also cut your lawn. For push mowers, it is often best to get the one with the widest available cut path. This logic holds because even the widest cut deck on a push mower is relatively narrow compared to a riding mower. For riding mowers and garden tractors, it is important that you match the cut path with the needs of your yard. For instance, a mower with a wide cut path might not be the best option if you have narrow areas or many obstacles. With proper maintenance, consisting of oil changes, spark plug changes, and blade sharpening, both riding mowers and tractors are rated at 10 years. That said, a machine that is cared for can often last much longer. Outside of these primary differences between a garden tractor and a riding mower, other things to consider include the following. Most of these features fall under user preference. After features, look for a machine with the best warranty. A three-year warranty is a minimum. 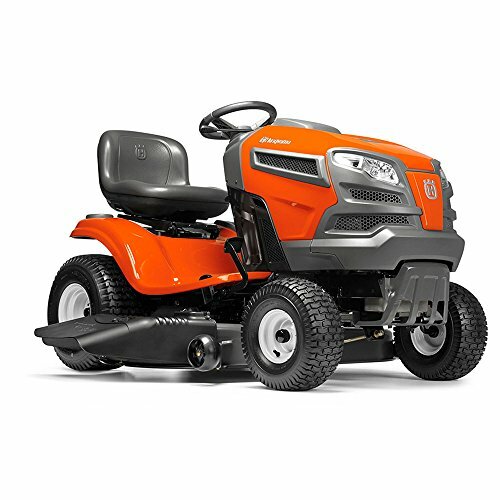 When it comes to lawn care, Husqvarna is an established player, and the Hydro Pedal Tractor Mower is a solid choice. With 22 hp, it is powerful enough for any lawn. In fact, the 42-inch cutting width is double that of a standard push mower. The stand-out feature for this machine is the pedal operation. Many lawn-mowers have an automatic transmission with a break pedal. However, the YTH22V42 offers hydrostatic pedals that are similar to driving a standard transmission with a clutch. This feature might take a little practice getting accustomed to, but a practiced driver will have more control over the tractor and be able to maneuver tighter corners and achieve more precise yard work. Another key feature is the reinforced cutting deck, which is the round, flat cover over the underlying blade. Cutting decks are often stamped out of a single piece of sheet metal. This process can result in a deck having a certain amount of pliability. The Husqvarna’s deck is reinforced, so it feels much sturdier than competing tractors. Additionally, it is safer. Finally, the mower has “U-cut” technology, allowing for sharper turns. The Cub Cadet offers only 18 hp, but it is loaded with potential. The 42-inch cutting path is as wide as that offered by other higher-hp mowers, and the right-hand gear shifts offer easy forward and reverse shifting. 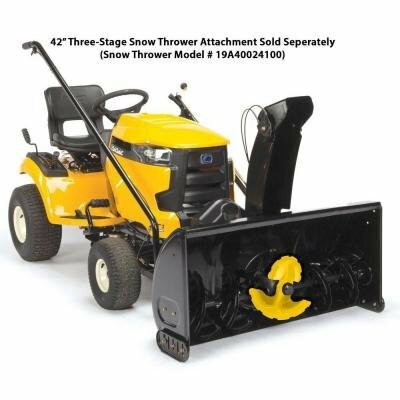 Some of the best accessories, sold separately, include a three-stage snow shovel, and rear-tire snow chains. For lawns, the bag attachment is also available. For larger yards with long stretches, the Husqvarna YTA22V46 offers 22 hp and an automatic transmission with cruise lock. Cruise lock is the mowing equivalent of cruise control, and it allows you to safely lock the accelerator, sit back, and steer. For safety, the ignition kill switch is located to the right of the steering wheel. All that it requires is a quick push. Additionally, the deck lever is located at the right, which allows convenient lowering and raising of the mowing deck. 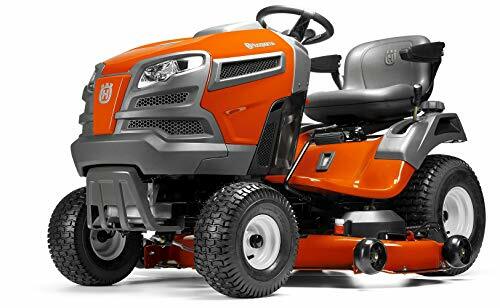 One of the best features of this Husqvarna is the air-induction technology that lifts grass clippings and keeps them free of the lawn and blade. In doing so, the blade cuts a consistently even path each and every time. However, to utilize this machine only as a mower would be a great injustice as it is capable of a variety of landscaping operations. It can haul, doze, and plow. Additionally, at 22 hp, the powerful motor can level heavy brush. In short, this machine enables you to civilize your private patch of wilderness. 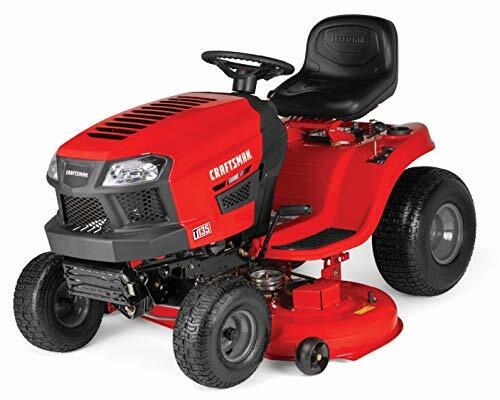 With an engine rated at 18.5 hp, the Craftsman mower is a mower of moderate power. However, instead of extra power for a variety of chores, this machine is focused on doing one thing very well. For instance, it can clear 46 inches at a time, much more than many more powerful tractors. For precise maneuverability, it offers a clutch-style, foot-pedal transmission. 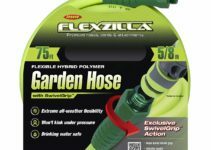 This offers greater control around trees, sheds, and gardens. Additionally, it has extra-large, 20-inch rear wheels, ensuring it can handle the highest lawns. Finally, the seat is designed with a high back, providing more lumbar support for the driver. The result is a comfortable, easy mowing experience. One of the more powerful yard tractors, the Husqvarna tractor comes in at a full 24 hp. It offers cruise control and precise pedal transmission. In contrast to other tractors that have a manual deck lift, the YTH24V48 is electric. All a driver needs to do is sit down, push the button, and go. For extra comfort, the seat position is adjustable. Finally, for a super fast mow, this machine levels 48-inches of lawn at a time. In terms of performance and popularity, this machine seems to be one of the best on the market. 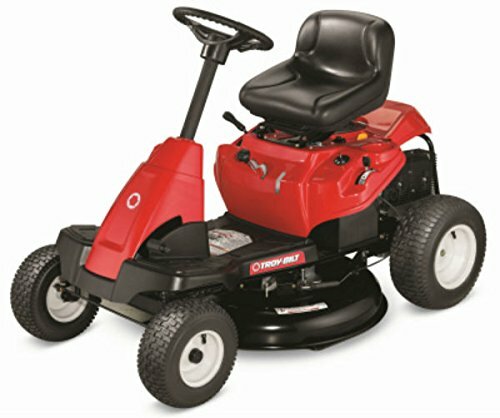 The Craftsman T150 is another riding lawn mower designed to mow lawns well. It can cut a 46-inch swath at a time, and every feature is designed to ensure mowing is precise, quick, and comfortable. Like other Craftsman mowers, it offers extra-large, rear tires for greater clearance. Additionally, the mower can still cut when in reverse, and the built-in deck wash prevents clippings from sticking to the deck’s undercarriage. The Troy-Built mower is an attractive, powerful mower capable of cutting a 46-inch path. Its engine offers 19 hp, enough to handle the largest of yards. Additionally, the seat height and touch-steering technology ensure a comfortable, effortless experience. The automatic transmission is perfect for people who are not comfortable operating pedal transmissions, and the manual cutting deck can be set to five different heights. Some mowers require complicated assembly. The Troy-Bilt 540cc is not one of them. Upon delivery or unloading, all the owner needs to do is secure the steering wheel and seat. It is then ready for gas. Although the mower does not come with accessories, Troy-Bilt offers a variety of manufacture-made accessories designed for specific use with this machine. 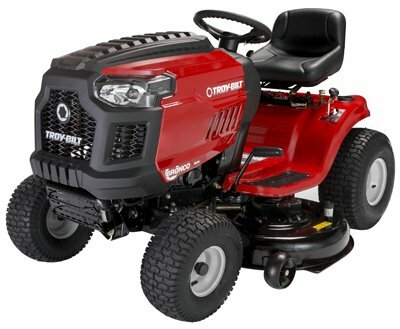 Anyone needing a mower that is also capable of light landscaping will find the Troy-Bilt 540cc a capable choice. Zero-turn mowers can rotate in place, making the Poulan Pro P46ZX one of the most maneuverable mowers available. With 22 hp, the engine is strong enough to navigate the toughest of terrains and the harshest of lawns. Brush, sticks, and even small bushes are no match for this landscaping staple. In fact, although the Poulan Pro mower is geared toward residential owners, it can double as a light commercial duty mower. The 3.5-gallon gas tank allows extended mow times, and the EZT transmission ensures quick, solid shifting from low to higher gears. The 46-inch cut path ensures less time mowing and more time enjoying a well-kept yard. 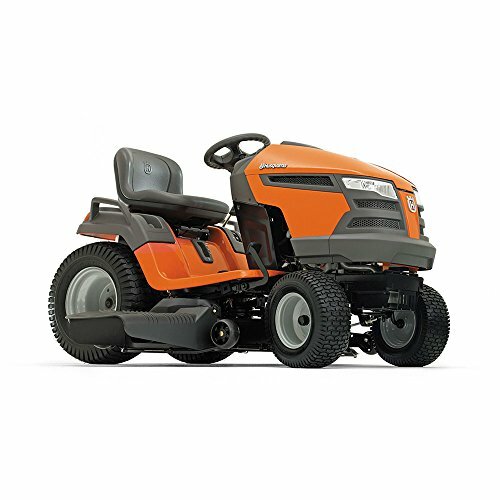 Owners using this as a light-commercial-grade mower will appreciate the 15-inch seat back, which provides both lumbar support and support to the mid back. They will also appreciate the timer, which helps them gauge cut time. In terms of cut time, this mower tops out at 6 mph, and is rated at 2.4 acres per hour. For residential users with 1/4 acre, the expected mow time is approximate five to seven minutes. Anyone who has ever pushed a mower across a quarter acre knows this thing is fast. The cut deck is reinforced steel with a 10-year warranty, and the height can be set to six different cutting depths. Solid caster wheels ensure worry-free operation for years, and available accessories, such as a 4-in-1 blade offers mulching, cutting, and high lifting all in one blade. The dual steering requires practice for efficient handling. For smaller lawns, the Troy-Bilt 382cc mower will be a welcome, affordable change from the typical push mower. The 18-inch turning radius is sharp enough for trees, eliminating the need for constant reversing. Additionally, the smaller cutting deck allows it to access tighter areas such as between flower bushes and deck steps. As a compact, riding mower, it is stored easily in garages with limited space. Although it does not have the cutting width of larger mowers, the 30-inch cut path is 50-percent wider than the widest push mowers. Combined with an energetic pace of 4.5 mph, it can take care of a quarter acre in approximately 30 minutes. Finally, for yards with multiple obstacles, this is a machine that provides precise cutting in places other, larger mowers cannot reach. The Craftsman, zero-turn mower, is one of the most powerful mowers available. With 24 hp, It can cut an enormous 54-inch swath, and at the end of the yard, it can turn on a dime and make another cut. Before you know it–only nine minutes later–a half-acre yard is freshly cut. Twenty-inch wheels offer superb clearance, and the front tires provide sharp, 360-degree turning. Dual handles provide deft, left-right maneuvering, and the high seat provides sturdy, comfortable support.